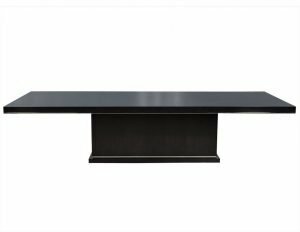 Custom Made by Carrocel Oval Modern Deco Styled Macassar dining table. 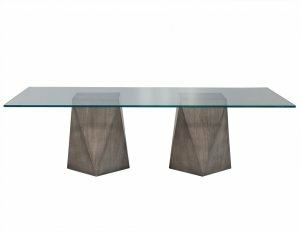 Accented with a brass trim top edge inlay, pedestal band and base feet. Hand polished to a mirror high gloss finish.